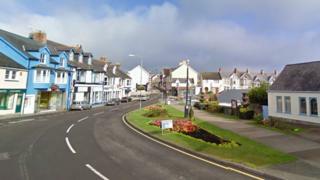 Owners of hundreds of empty homes in Pembrokeshire are to be hit by a 125% council tax bill. Empty homes in the county are allowed a 50% discount to the levy under current arrangements. But from April 2019 this discount will be scrapped, with owners of homes which have stood empty for more than three years being charged 125% of normal council tax. Pembrokeshire council voted the plans through at a meeting on Thursday. The council introduced a 50% premium for owners of second homes back in April and voted to extend it into the 2018-19 financial year. It will now look at giving the cash to local communities for projects. Currently, there are 1,206 empty homes in Pembrokeshire, which are subject to a council tax discount. However, this will be scrapped under the changes and all properties which have been empty for three years from 1 April 2016 will be subject to a 25% council tax premium. Homes which have been empty for four years will be taxed an extra 50%, or 150% tax, and five years or more will pay double or 200% council tax. The council also voted in an amendment for an appeals process for homeowners trying to sell or refurbish their properties.